We used to laugh at folks in the 1980's with huge headphones, but now they are back. And better than ever! 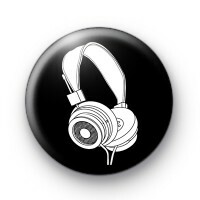 Show your love for huge retro headphones & great music with our 80's headphones badge.